This Equinox will be the turning point of the year and marked when the Sun shifts into Virgo. Virgo, in case you didn’t know, is a sign that for the most part revolves around being grounded, reflective, and taking things in their proper time. It is a sign that helps us to look at life from a more long-term-outcomes point of view. To sum it all up, this is a sign that encourages us to take time; do not haste, waste, worry. Recollect your own Self, calmly examine the situation and discriminate right from wrong. As the Sun shifts into Virgo for this Equinox, we will be experiencing a lot of new things. During this time there will be a huge shift in energy. While we are used to these shifts, this one will be more focused on raising our inner potential and realising our innate, yet-undiscovered talents and energies. When changes come within, new feelings, new perceptions, more tolerance to others, and detachment from those who follow the madding crowd unthinkingly, we may take time. Fear is false expectations appearing real. We all have inner guides, and angels abound in this Universe; they have no abode and are present in all times and all places. Whenever we need help, all we have to do is ASK. We will always receive help from the angelic realms when we ask. The Sun in Virgo points to both the furrow and the plough. The primary purpose of ploughing is to turn over the upper layer of the soil, bringing fresh nutrients to the surface, while burying weeds and the remains of previous crops and allowing them to break down. As the plough is drawn through the soil it creates long trenches of fertile soil called furrows. Here, the Sun gives both increase, and challenges; there can be a lesser amount of our customary energy and way of doing things, and there can be a birthing of a wealth of new ways of seeing and being … in many better, intangible forms. The Sanskrit word for Universe is jagat; it means coming-and-going, perpetual change. The Universe is in a state of perpetual change from the Big Bang – or the Creative Word, the Pranava; the Bhagavad Gita gives examples of this perpetual change and new life moving to transformation: like the sun constantly giving up its heat and light to foster life; a ripened fruit abandoning its parent tree; the mother giving birth to the baby she carried for so long; students leaving school upon graduation; and grandest of all, the individual soul abandoning worldly entanglements to join Me, the Divine. So also, when change comes to you, new perceptions, skills, knowings, we must move slowly, and take the virtues of the Sun in Virgo: take time; do not haste, waste, worry. Recollect your own Self, calmly examine the situation and discriminate right from wrong. We don’t become filled with fear, we don’t haste to abandon everything of the past, in times of transition we remain grounded (Virgo) and move slowly (Sun in Virgo) and foster integration and righteousness within (Dharma). This Equinox offers the opportunity to balance ourselves out and find the middle ground that we have been needing for quite some time amid change encountered in our humanness. We may take the good things with the sour with patience, knowing that the world is filled with duality and opposites and these do not corral our condition. The Universe will not push something on you that you cannot handle and you need to remember that above all else. The changes that have happened upon the planet Earth have been become stronger and has been strengthened by the recent Solar and Lunar eclipse. Much is happening to people at this time – not just with their physical and emotional bodies but general aspects with their lives as well. In fact it is a time of change – affecting many people – in fact everyone on this Earth. The changes come from our Sun coming into alignment with a core of suns going back to the Grand Central Sun of all Universes. This alignment is delivering higher energies to Earth, and all that lives on Earth. This is from a HIGHER DIMENSION – which expresses a Great Plan for the level playing field upon this planet Earth – and within the Galaxy the Milk Way – is the 5th-come-6th energy – or frequency which is the same as crystal. 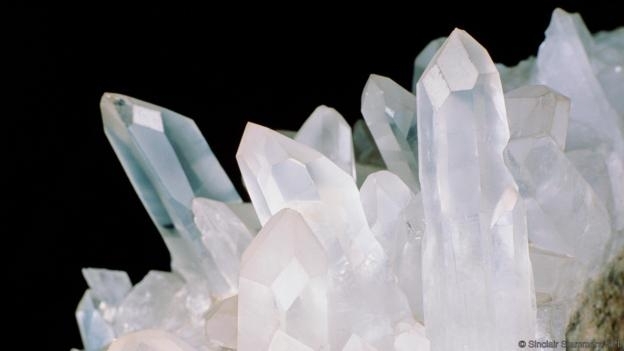 If people can think about that and how to use crystal to help their transition to find balance – it would be very constructive for them – it is a matter of choice. It is a matter of individual choice – not everything is the same for everybody. So they need to go into their hearts and listen from that point. One form of balance is to meditate using the great crystal that is in the centre of the earth. 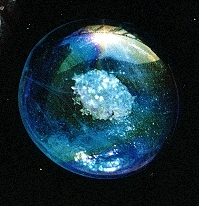 ka-ba expresses the line going from the ka (11 inches above the head) to the ba (below the tail bone) … one could sit in meditation drawing energy from the great crystal located in the centre of the Earth into the ka-ba and distribute the energy at the chakra points along this line of light within the light body.